1. Palaniappan L P, Araneta MR, Assimes TL, et al. 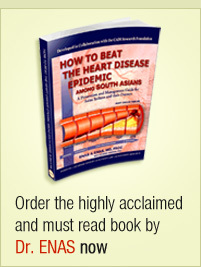 Call to action: cardiovascular disease in Asian Americans: a science advisory from the American Heart Association. Circulation. Sep 21 2010;122(12):1242-1252. 2. Palaniappan L P, Wong EC, Shin JJ, Fortmann SP, Lauderdale DS. Asian Americans have greater prevalence of metabolic syndrome despite lower body mass index. Int J Obes (Lond). Aug 3 2010. 3. Rutherford JN, McDade TW, Lee NR, Adair LS, Kuzawa C. Change in waist circumference over 11 years and current waist circumference independently predict elevated CRP in Filipino women. Am J Hum Biol. May-Jun 2010;22(3):310-315. 4. Magno CP, Araneta MR, Macera CA, Anderson GW. Cardiovascular disease prevalence, associated risk factors, and plasma adiponectin levels among Filipino American women. Ethn Dis. Autumn 2008;18(4):458-463. 5. Araneta MR, Barrett-Connor E. Ethnic differences in visceral adipose tissue and type 2 diabetes: Filipino, African-American, and white women. Obes Res. Aug 2005;13(8):1458-1465. 6. Langenberg C, Araneta MR, Bergstrom J, Marmot M, Barrett-Connor E. Diabetes and coronary heart disease in Filipino-American women: role of growth and life-course socioeconomic factors. Diabetes Care. Mar 2007;30(3):535-541. 7. Araneta MR, Barrett-Connor E. Subclinical coronary atherosclerosis in asymptomatic Filipino and white women. Circulation. Nov 2 2004;110(18):2817-2823. 8.Araneta MR, Barrett-Connor E. Ethnic differences in visceral adipose tissue and type 2 diabetes: Filipino, African-American, and white women. Obes Res. Aug 2005;13(8):1458-1465.